This white nougat crisp uses vegan rice drink powder instead of milk to create this vegan white chocolate. It contains the finest nougat and a crunchy hazelnut brittle and the taste is scarcely different to dairy white chocolate. Vivani ensures that all its organic chocolate fulfils high quality demands so that each bar is packed with superior natural organic goodness. raw cane sugar*, hazelnut paste* 23%, cocoa butter*, rice drink powder* 11,5 %, hazelnut brittle* 8% (raw cane sugar*, hazelnuts*, corn glucose syrup*, caramelsyrup*), bourbon vanilla extract*. 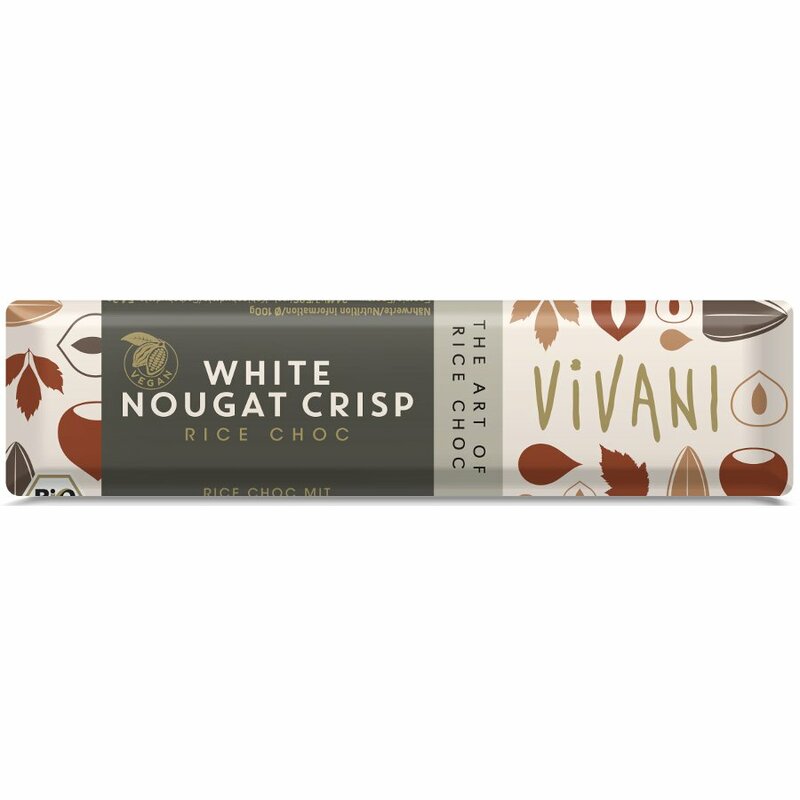 There are currently no questions to display about Vivani Organic White Chocolate Nougat Crisp - 35g.